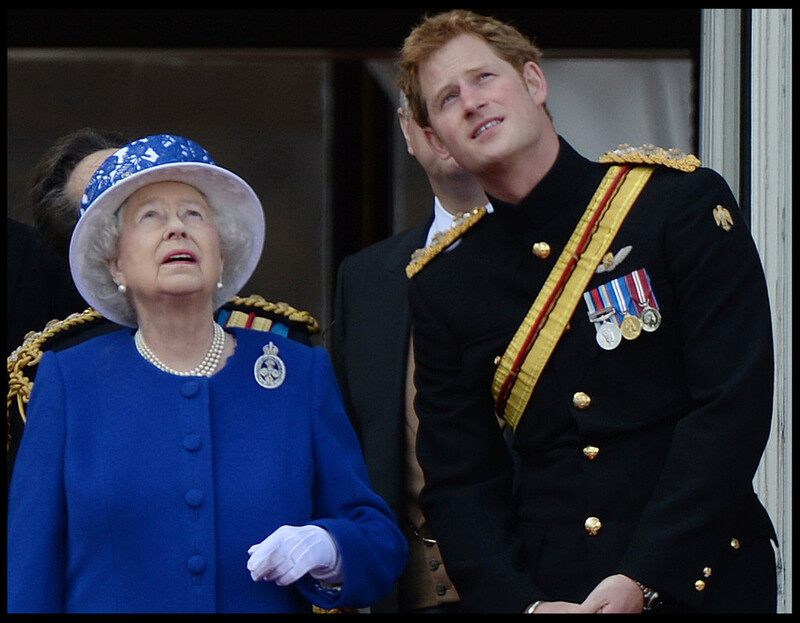 PRINCE Harry is set to replace his grandfather Prince Philip as head of Britain’s elite Royal Marines. 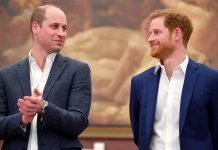 The 32-year-old royal is likely to take on the ceremonial position later this year once the Duke of Edinburgh retires from public duties. 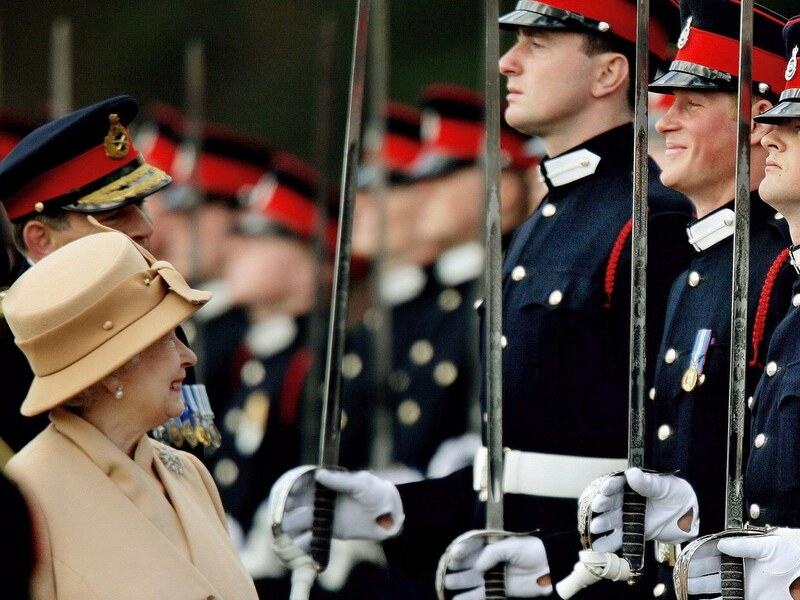 The Duke, who will turn 95 in June, has been the head of the Royal Marines since 1953. 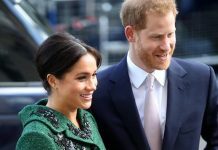 In his role, he made regular visits to the marines on exercise in Norway and spent time at the headquarters of 3 Commando Brigade in Plymouth. 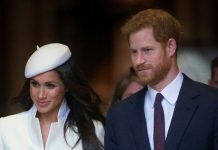 According to sources, the offer of the role to Prince Harry has been approved by the office of Major General Rob Magowan, the Commandant General of the Corps. 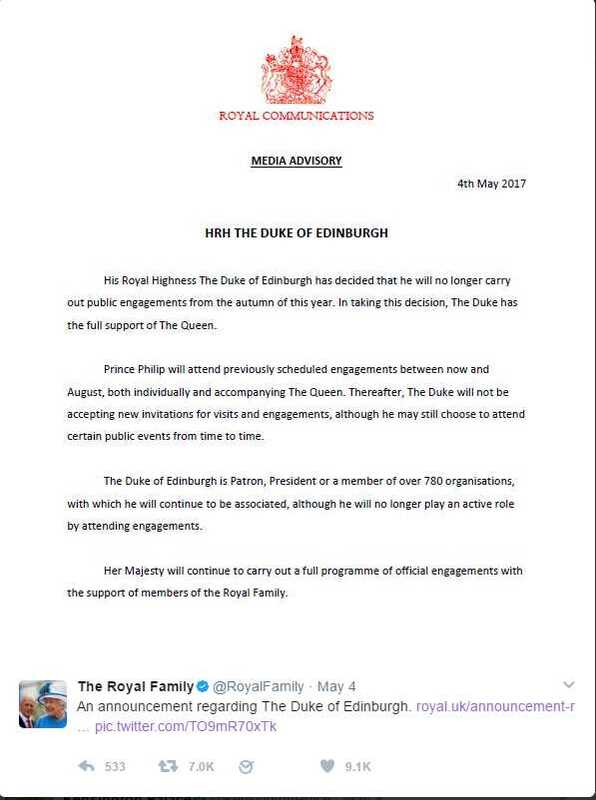 The final decision, however, lies with the Queen. The role of Captain General of the Royal Marines is highly valued by the Corps, with a senior officer tasked with informing the senior Royal of all events as well as producing reports on the amphibious assault force. Two years ago, it was Prince Harry who stepped in for his grandfather at the opening ceremony of a new amphibious centre for the Royal Marines, 1 Assault Group in Plymouth. 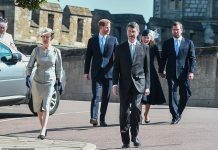 The young Royal arrived in the uniform of an Army Air Corps Captain, and was saluted by senior Royal Marine Generals, including the head of the Special Boat Service, despite his lower rank. The prince had struck up a strong rapport with the green berets while in Helmand in 2008, serving as an “air controller” to direct air strikes in support of marines from 40 Commando. In 2012, he fought as an Apache helicopter pilot supporting Royal Marines and special forces who were tracing Taliban commanders and killing them. 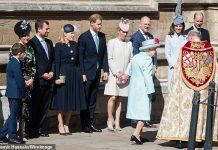 The young prince, who left the Army two years ago where he served as an Apache pilot, is the only member of the Royal family who does not hold any honorary position within the armed forces. 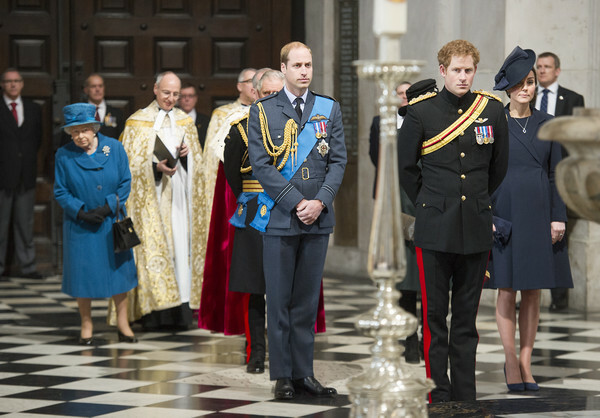 Prince Charles currently heads a number of of regiments including the Paras, while Prince William is the head of the Irish Guards. 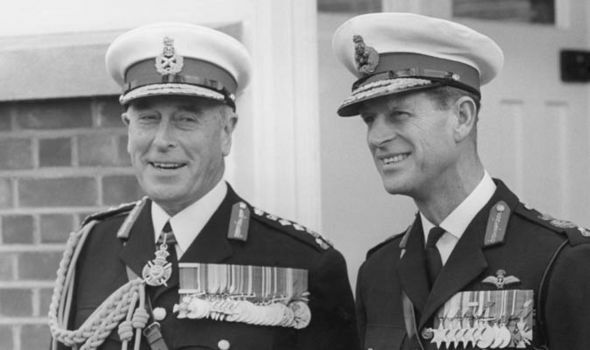 Prince Philip became head of the Royal Marines in 1953 when King George VI died, and was mentored for several years by his uncle Lord Mountbatten, who as head of the Navy was also an honorary General in the Corps. As well as being the current head of the marines, the Duke of Edinburgh holds a number of other military titles including Field Marshall of the British Army as well as the Admiral of the fleet and Marshall of the Royal Air Force. 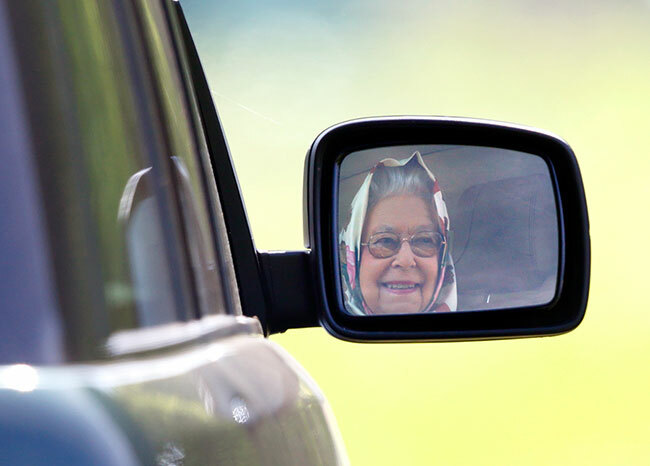 He is also the head of the Intelligence Corps, the Hussars, the Royal Regiment of Scotland and the Honourable Artillery Company, and has numerous titles with the Canadian, Australian and New Zealand forces. 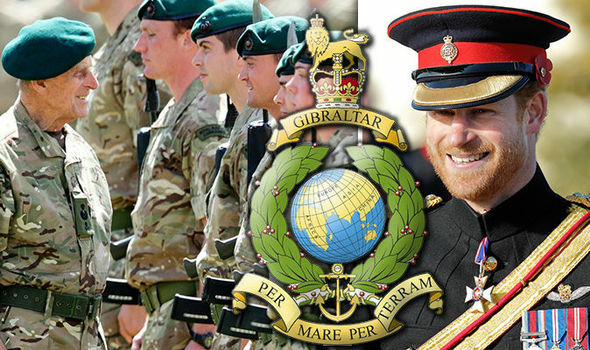 The Royal Marines were established more than 350 years ago on October 28, 1664, during the reign of King Charles II. The light infantry troops were initially known as the Duke of York and Albany’s Maritime Regiment of Foot, but were given the official title of “Royal Marines” in the early 1800s by King George III. During the Second World War more than 70,000 marines served in the Corps but today that number has reduced to around 8,000. The elite fighters are trained to operate worldwide – at sea as well as in mountainous and arctic regions. Their motto is “Per Mare, Per Terram” and translates from Latin as “By Sea, By Land”. Training takes place in Devon and all marines who pass the Commando course are entitled to wear the famous green beret.